Dr. Steven Amstrup has been studying polar bears and their habitat since 1980, and much of what we know about them, and even how scientists study them, comes from his work. 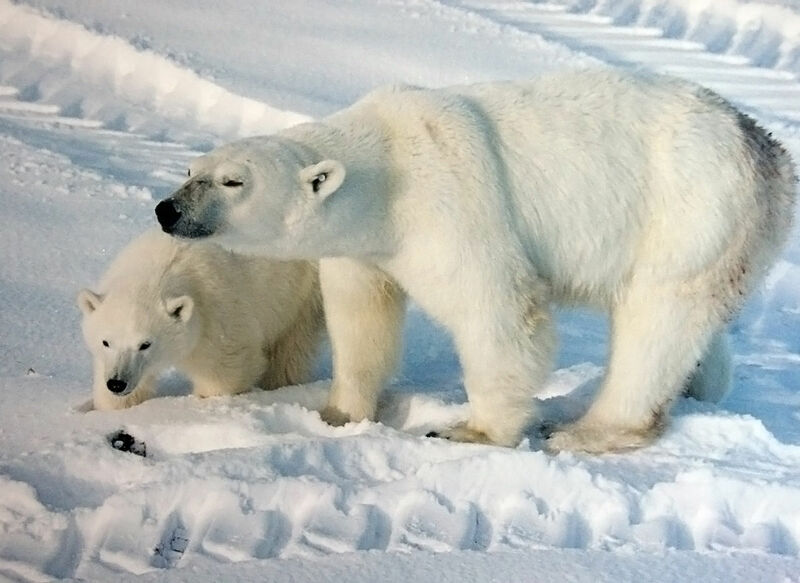 For instance, he was the first person to apply radio telemetry to the study of polar bears, which allowed scientists to understand the immense distances that polar bears travel, and that knowledge of their movements is vital to understanding polar bear ecology. He also developed studies to quantitatively describe denning habitat and developed the ability to locate dens under the snow with Forward Looking Infrared Imagery (FLIR). That allowed him to uncovered – quite literally – information about polar bear maternal denning. He made the unexpected discovery that over half of historic polar bear maternity dens in Alaska were on the drifting pack ice, and then, subsequently, he led work that showed that polar bears increasingly opted to den on land because of sea ice deterioration due to global warming. Over the three decades he’s been studying polar bears, Amstrup has observed a profound change in their Arctic habitats and the threats they face, and he often speaks out about the need to mitigate greenhouse gasses if polar bears are to survive as a species.